Our specialist dress cleaning service is born from fifteen years experience backed by formal training and investment in the latest cleaning and finishing technologies. We understand how special your dress is to you. Whether you want to store your dress or sell it on, our experts will assess everything from the fabrics and adornments to any soiling and/or repair work ensuring the best possible stain removal, cleaning and finishing. Choose one of our elegant storage boxes and we will pack your dress in acid free tissue for a perfect display and memory. 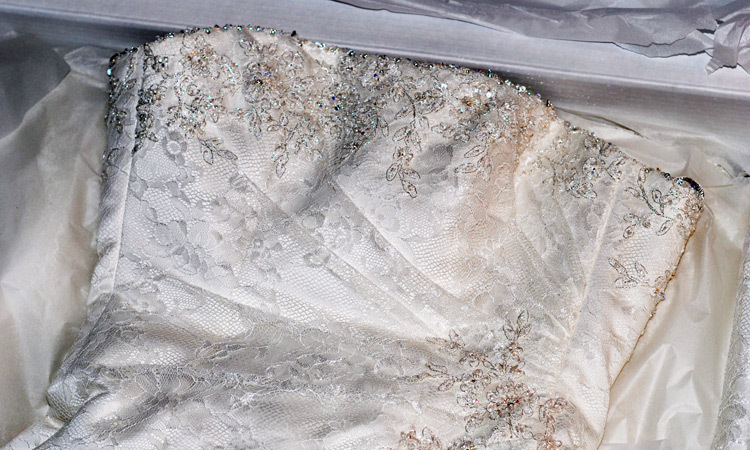 We offer a discounted second cleaning of your dress for brides hosting post wedding celebrations. Please contact us to arrange your wedding dress cleaning. A collection service and a drop off service is available on request. 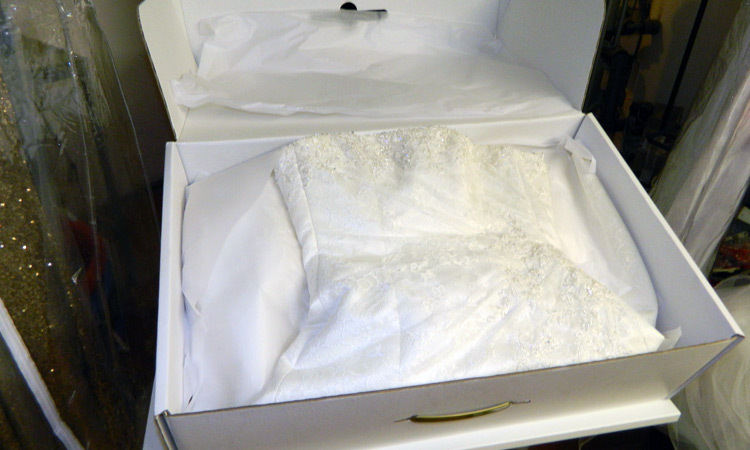 Give your wedding dress the cleaning and storage service that is deserves.